Check Point X Series Appliances provide organizations with the ultimate choice in carrier-grade chassis. The X Series platform delivers integrated software and hardware solutions that are customized to customers’ demanding security needs-all while maintaining the highest network performance required. Ensure availability of business-critical applications with up to 140 Gbps of firewall and IPS throughput, combined with hardware-based load balancing and a 160 Gbps back plane for future expansion. With Check Point Virtual Systems, hundreds of high performance virtual firewalls can be consolidated on a single X Series chassis. The X Series solution reduces complexity by consolidating network functions and security applications in a single platform, while preserving application choice. The Check Point X-Series allows enterprises and service providers to easily consolidate network infrastructure (switches, load balancers, patch cabling and power cords) and appliances that support security applications. It dramatically simplifies and accelerates deployment and on-going management of data center network resources. The net effect is that organizations can consolidate devices with a ratio of up to 100:1. That means fewer devices to manage, a smaller footprint in the data center and a reduced total cost of ownership. The Virtual System security platform is a security gateway that enables the creation of hundreds of security systems on a single hardware platform, delivering significant cost savings and efficient infrastructure consolidation. Based on proven Check Point security technologies, Virtual Systems provides best-in-class firewall, VPN, URL filtering and intrusion prevention technology to multiple networks, securely connecting them to each other and shared resources, such as the Internet and DMZs. All security systems, virtual and physical, are centrally managed through Check Point Security Management or Multi-Domain Security Management consoles. Powerful turnkey Virtual Systems on X Series systems further reduce deployment costs while delivering carrier-class reliability and scalability. The Check Point Software Blade architecture is the first and only security architecture that delivers complete, flexible and manageable security to companies of any size. With unprecedented flexibility and expandability, Software Blades deliver lower cost of ownership and cost-efficient protection that meet any need, today and in the future. 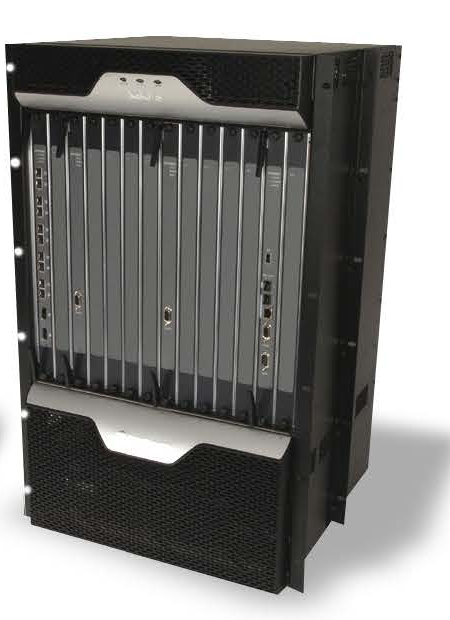 Full integrationof the X Series platform with the modular Software Blade Architecture allows for rapid and easy activation on any Check Point security gateway. Download the Check Point X-Series Solution Brief (PDF). CheckFirewalls.com.au is a division of Virtual Graffiti Australia Pty Limited, an authorised Check Point online reseller.